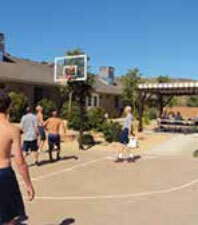 Liahona Treatment Center is a mental health residential treatment center for boys. 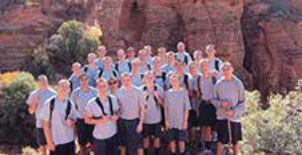 We serve boys at Junior High and High School levels, ages 12-17. Located in Southern Utah, Liahona was developed to help teens that are headed down a destructive path. Liahona was designed for families looking for real help for their son. Often families have tried therapy at home or alternative schools and find that this level of care was insufficient or ineffective for their child. Many of our students struggle with depression, anxiety, substance abuse problems, drugs, academic difficulties, low self-esteem, poor social skills, ADD, ADHD, and problems with authority. We specialize in creating an effective and supportive treatment environment to help teens who have proven resistant to other settings or attempts to help. We understand the frustrating situation that parents often find themselves in when they no longer know how to get through to their teen. Liahona provides a therapeutic environment where parents and teens can have access to the resources that have proven effective in allowing teens and families to heal. Through the treatment process, the students learn how to address personal issues and reconnect with families and authority figures in a healthy/responsible way, creating trusting and deeply rooted relationships. Our main objective is to provide teens with a proper assessment as to why they are engaging in the destructive patterns they are exhibiting. We aim to help the teen understand that they do not have to give up what they want, but learn how to get what they want in a way that will be effective and not result in negative consequences for themselves or others. Insight and therapeutic tools are provided and developed so that the boys can meet their goals in a positive way. They use these tools to reach the potential that we believe they already possess. Often when enrolling a student the parent will say “he is really a good kid” - we believe that as well! They just need help learning how to get off the destructive path they are on. In cases where families have struggled to find growth and success with local treatments such as a therapist or alternative school, a treatment process that takes place in a controlled environment becomes essential. Our program environment takes away access to negative influences that the teen may be experiencing at home, such as troublesome friends or access to substances or material that the teen is not able to abstain from. Often access to negative influences destroy any attempt to disrupt and change negative destructive patterns. A therapeutic program environment allows for consistent interactions, positive peer influences, and constant therapeutic interventions. If the therapist or program director wants a certain intervention or process to happen then the staff and other students can support that intervention allowing for a consistent healthy atmosphere without negative influences undermining that process. At Liahona, our treatment team uses proven effective therapy modalities including but not limited to cognitive behavioral techniques, biofeedback/relaxation training, experiential, insight oriented, solution-oriented, cognitive development,12 steps, reality therapy, and motivational interviewing to achieve our overall goal. We aim to teach our students three important skills: how to identify cognitive behavioral problems, how to understand the motivations for exhibiting these behaviors, and how to get what they want in a much more effective way that does not harm them or anyone else. For example, if a boy is using substances to self-medicate, having them obtain sobriety is not the only goal. If the boy is sober but unhappy (as the reason he was self-medicating has gone unresolved) then you have an unhappy sober boy. This cannot be the goal. The boy needs to be sober but also needs to learn how to get what he wants out of life so he doesn’t return to destructive habits. When he has the tools to obtain his personal goals he will enjoy his life. Through our family therapy program, the parents also participate in this process and they learn tools to allow them to be an effective support system for their child as they participate in the treatment process. While enrolled in our program, the boys are regularly working through individual therapy sessions that help them to resolve personal issues. This is key to developing healthy interpersonal relationships. One’s personal issues will always negatively impact relationships. This is why in the very beginning of the treatment process the focus is on the individual issues of the student. Without growing through their personal issues, any attempt to work on family or relationship issues will be undermined by the students' personal issues. It also allows for a restructure of relationship dynamics as the therapist works with the parents to establish and support healthy relationship dynamics and communication patterns. The Individual therapy also allows the student to build a trusting relationship with their therapist at Liahona Treatment Center. In this trusting, safe, and private environment, boys find it easier to talk and sort out problems that may be too difficult for them to talk about in front of their parents in a family session or their peers in a group therapy. Once this initial therapy goal has been accomplished early on in their treatment, family therapy is introduced and remains ongoing through the remainder of the program. Group therapy is provided multiple times a week, facilitated by the student’s personal therapist. Any issue that is being addressed by a student can be addressed in the group therapy sessions. There are positive peer influence groups where boys recognize that many of their peers are working on similar issues and they are not alone. A positive support group is developed in these group sessions. It is a valuable aspect of the treatment experience. As mentioned above, being in our structured treatment environment allows for consistent effective therapeutic interventions that can be adapted for each student’s therapy program. As Utah is a parent’s rights state, the parent/guardian will have full access to every aspect of your teen’s mental health and medical treatment plans. Individualized Academic Instruction - Students work towards better academic standing at a pace designed to help them succeed. Each student is provided with a personalized academic plan to meet their academic needs and goals. Liahona has a state accredited curriculum and the credits they earn at Liahona Treatment Center can transfer back to their junior high school or high school once they've complete our program. Individual & Group Therapy with Licensed Therapists - The therapists at Liahona are experienced and effective at working with teens and their families. Each boy will be evaluated and a personalized treatment plan will be developed for each attendee to address all of his personal and relationship issues. Each student receives individual therapy, family, and group therapy. Families are taught and given assistance in addressing their child’s issues and family dynamics are addressed to help develop healthy and strong relationships. The goal of therapy is not to just have the student stop displaying negative behaviors, but to learn why he does them. Then they can develop patterns and learn new cognitive tools that will help them achieve their goals so they can feel happy and in control of their lives. By developing these patterns, the student engages in healthy self-rewarding behavior which reduces the risk of relapse often associated with simply trying to resist acting out in previous destructive ways. It empowers the student with an understanding and ability to develop a rewarding and satisfying life. Personal Development - Youth at Liahona Treatment Center not only learn the skills they need to handle troubles they face with their behavioral disorders, they learn important social and leadership skills to help them become capable men who can contribute positively to families and their communities while resisting negative peer pressure. Daily Behavior Evaluations - We help our boys to look inward, recognize their behavior/choices, and take responsibility for their actions. Then they have a better understanding of how to make corrections and handle themselves in troubling situations. Daily Physical Fitness in Conjunction with Nutritional Education & Fitness Training - Liahona Treatment Center knows that physical health greatly contributes to emotional health. There is strength found within a strong mind/body connection. By learning to take care of their bodies, they gain a tool that will help them cope with stress and triggers. It also improves their overall mental state by inducing feelings of positivity, assists in better sleep patterns, and improves self-esteem and self-worth. There are large outdoor spaces that are part of the program property where the students can play sports, run on a track, and enjoy being active outside. Weekly Leadership Training - Boys at Liahona Treatment Center are motivated to not only take care of themselves, but to take care of others and to be leaders in their social groups and communities. This training is developed and supervised by the program director and treatment team. Group Activities - Including hiking, water skiing, going the gym or recreation centers, swimming, and other actives within Southern Utah at Zion National Park. 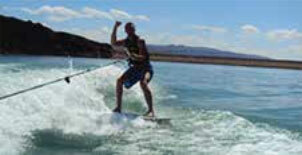 We have a dedicated activities director who organizes and takes the boys on activities every other day. In addition to these activities, there is a larger activity planned for Thursday’s. Boys can participate in these activities regardless of level in the program. Weekly Service Projects Within the Community - Learning to be contributing part of the community is one of our goals at Liahona. Our students often participate in a variety of community projects. Liahona has enjoyed a positive reputation and has received thanks from many in the communities we serve. Ensuring your child's rehabilitation is our foremost concern. During the critical transition that occurs when the student returns home after completing our program, you have the option for your therapist and the program director to continue to be in contact with your family via secure on-line video sessions, the phone and even written correspondence - all to facilitate the best transition possible for your family. Liahona Treatment Center’s accredited academic program and fully licensed teaching staff provides your child with an individualized and positive learning environment. Students are assessed and provided with an academic plan that balances their personal ability while at the same time challenges them for increased learning. This corrects problems they may have in typical schools settings that have either slowed their development or pushed them along too quickly. Liahona Treatment Center has a reputation for accommodating a wide variety of learning styles by using various teaching strategies from room study to hands on learning. Any credits earned at Liahona will transfer back to your son’s high school. We work with those that have Individual Education Plans or need one developed for them. We also provide additional tutoring for students that need help catching up or repairing previous grades. Liahona Treatment Center’s in-house staff and affiliated resources can help you with one of the hardest steps in your child’s recovery: getting him to the treatment facility. We will advise and coordinate with you to make this process a smooth transition. 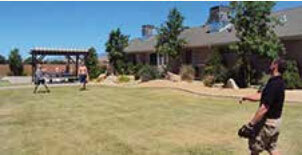 Liahona Treatment Center is located in a serene valley in Southern Utah - close to Zion Canyon. We are committed to making your child’s recovery experience as pleasant as possible. Choosing Southern Utah’s beauty and remote location helps your child to completely settle into the structure of the program. It allows your child to be far from the temptations of the outside world and away from negative influences found close to home. This allows them to focus on themselves and their treatment. Your child will be housed in a supervised therapeutic environment promoting family style living and values. Three square meals are served daily by our nutrition specialist. Each student is given routine weekly evaluation by our in house medical staff to ensure their physical health.